Just to be clear, I am a responsible babysitter, and nothing dangerous has ever happened in my care. The tales I’m about to reveal weren’t directly my fault, just a handful of humorous and unfortunate events. The brother & sister I was babysitting suggested we play chutes and ladders, and I eagerly agreed because I thought it would be fun to relive my childhood. I have to be honest and tell you that I got beat fair and square. I didn’t come in first place nor did I come in second; I was dead last. This particular board game is meant for kids, and even though I had no intention of beating my young companions, I didn’t think I would be so terrible. We hadn’t been playing long before the sister turned to me and said with a straight face: “You’re really bad at this game.” There is nothing quite as humiliating as an insult from someone who is less than half your age. I haven’t played that game since. This particular situation was mostly my fault, but have no fear because it had nothing to do with my young charges. For an extended period of time, I had a steady babysitting job with a family who lived in my neighborhood. One night while sitting at their house, I decided to watch some television after the kids were sound asleep; of course I had the parents’ permission. It was late at night, and there was a thunderstorm brewing. Of all the things I could have watched, I settled on a crime show. That was my first mistake. I eventually decided TV was a bad idea, and picked up the book I brought with me which just so happened to be a mystery. That was my second mistake. My third and final mistake was leaving only one lamp on. I’m not sure why, but I never turned on the room light to make myself feel safer. It was a tense few hours. I didn’t know nighttime could be so noisy! I can’t even tell you how many times I checked the doors and windows to make sure they were locked ( once I built up the courage to do so ). When the parents arrived through the garage, I naturally thought they were murderers until they stepped into the house and greeted me by name. That was the last time I ever watched a crime show or read a mystery while babysitting. I will ease you into the fourth and final story with the typical babysitting story of a bird in the garage. It happened while I was outside with the “chutes and ladders siblings” for some fresh air and playing time. While taking a brief break from the sun, a curious bird joined us. He was harmless, but I couldn’t help panicking. The brother’s personality was unpredictable, and I pictured him opening the door and accidentally letting our new winged friend inside the house. Of course I had to cage (get it?!) my fear so the kids wouldn’t panic and do what I just described. I spoke softly and encouraged them to stay still so the bird wouldn’t feel threatened. He explored a little more and flew away, never to bother us again. Crisis avoided! I swear the animal kingdom is out to get me. I realize that the title sounds like a cool band name, but the following events are anything but cool. Literally! I was once again babysitting my neighbors, but this time it was during the day. The parents provided popsicles and told me the kids could play outside. Simple enough, right? WRONG!! When the time came, the siblings grabbed their cold, refreshing popsicles, and we ventured outdoors into the unbearable heat & humidity. After some quality playing time with their dog Dino, the sister informed me that she had to use the restroom. I thought nothing of it until she went to turn the doorknob, and nothing happened. I thought the door was stuck because that is normal in Texas, and I gave it a try. Nothing happened, and my heart started to sink into my stomach. I took some deep breaths and reminded myself that I had to stay calm because I was in charge of two kids and one dog. I made my way to the front of the house to try the garage door; I brought along the sister because she was old enough to stay calm and help me with the code to open the door from the outside. I managed to get the garage door open, but the door to the house was locked, and we had no luck finding the spare key. Trust me, I searched high and low. I had told the brother stay in the backyard with the dog; thankfully the garage wasn’t far from the gate so the sister and I pulled double duty keeping a close eye on them. Unfortunately that didn’t work. The little boy gave in to his curiosity and opened the gate before we could reach him. That wasn’t my main concern. Remember who he was with!! I spent the next 10-15 minutes running up and down the street yelling “DINO! !” No, this is not an unaired episode of The Flintstones. I desperately tried to shepherd him into the gate held open by the sister while simultaneously keeping my eye on the brother because, as you already know, he was very unpredictable (typical at his age). He tried to help by joining in with his small but mighty voice, but really it was just more noise and extra stress. Finally I got that darn dog into the backyard and locked all of us in. I had a mischievous dog and two sweaty, sticky kids in my care, and I felt helpless. I hated to pull them away from something important, but I had to inform the parents of our predicament since I had tried every other way to get back inside. Thankfully I had my phone on me so I called and left a calm, collected message. I spent the next hour or so keeping the kids distracted on the trampoline until their parents came to our rescue. I profusely apologized and fully expected to never work for them again. The parents shocked me by apologizing about their faulty lock, which they forgot to tell me about before leaving, and applauded my ability to stay calm in a stressful situation. I did indeed work for them again, and thankfully the preceding story was the worst experience I ever had, both with them and with babysitting period. It was a tough experience to go through, but I learned a lot. Ever since the day I found out about the CBC/Netflix adaptation of Anne of Green Gables, I have been skeptical. I grew up with the Sullivan trilogy; if anyone asks what my favorite movie is, I answer with those three films. They are very near and dear to my heart, and it is difficult for me to accept anything else. The new series came to Netflix on May 12th. I tried numerous times to watch it but couldn’t bring myself to press play. I realize that I sound like a total drama queen, but keep in mind that I have always been compared to Anne who is the actual queen of drama. Fast forward to July 4th. I finally watched the first episode… and then the second episode… and then the third… two days later I’ve finished all seven, and I NEED MORE!!! Yes it is different from the 1985 movie, and no that is not a bad thing. The first episode was difficult to watch because I could only picture the Sullivan cast, but once I relaxed and and allowed myself to accept the changes, I was fine. Most of my favorite moments involved Anne & Gilbert and Rachel & Marilla. I hope the series continues for a very long time because I can already picture myself watching the cast grow with the story. Fellow AOGG fans, I understand the trepidation, but change isn’t always bad. If you haven’t watched Anne With an E, I highly recommend you give it a chance. 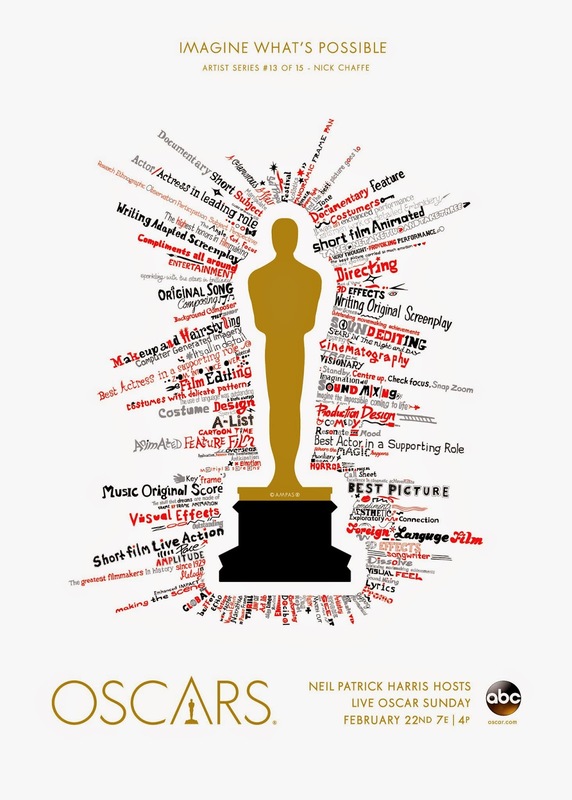 Stay tuned for Oscars 2015 Part II, which will be posted tomorrow. I am warning you now: The topic is my best dressed pick as well as honorable mentions. I am only discussing the actresses, not the actors.